"A good, clean nutbrown ale with a malty body. 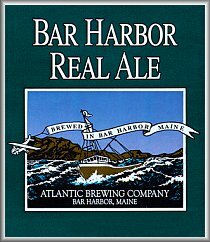 This is our most popular ale due to its smooth and malty flavor. This ale pours a dark amber color with a small, light-brown frothy head. Fair lacing behind a mostly-diminishing head. Hazy, cloudy body. Aroma is of light, light bread malts and light doughy yeast. Initial flavor is lightly sweet, with a nutty taste, finishing lightly bitter with a smoky finish. Light on the palate, it leaves a watery texture with soft carbonation. Reviewer's notes: "Looks like a nutty brown, fizzles out at the end, initially a sharp taste due to carbonation followed by a sweet taste then a little bitterness of toasted malts"